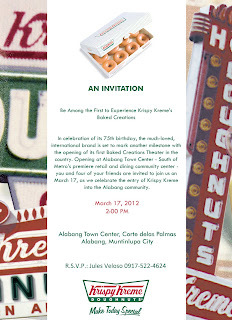 I attended the store launching of Krispy Kreme at Corte delas Palmas in ATC last March 7th with my daughter, and we were rewarded with dozen donut treats plus more! This new Krispy Kreme store is the latest addition to the dynamic mix of retail and dining establishments in Corte delas Palmas and is nestled amidst other high-end food and clothing establishments. Krispy Kreme is such a delight to anyone's palette that indulging in their mouth-watering like the Banana Walnut Kruffin makes you come back for more! My daughter and I love the its creamy center! Anyone with a sweet tooth would surely fall for this yummy baked goodness! My child had a blast glazing her donuts at the "Baked Creations Theater", where they serve the brand’s signature Baked Creations fresh from the oven on top of all the full line of premium treats Krispy Kreme is famous for which includes its world-famous Original Glazed Doughnuts and Signature Coffee. True to the brand’s spirit of gratitude to all those who continues to support all their endeavors, Krispy Kreme continues to expand its reach in the name of satisfying the palates of doughnut and coffee aficionados across the country. Krispy Kreme Alabang Town Center opens its doors everyday at 7 in the morning and stays open until 11 in the evening – giving everyone plenty of time to drop by and grab their favorite treats before they head home from work or school. Krispy Kreme is an international doughnut and coffee brand that is present in 16 countries worldwide, including United Kingdom, Australia, Middle East, Japan and Mexico. In the Philippines, Krispy Kreme has 25 stores strategically located in top places like Bonifacio High Street, SM Mall of Asia, Greenhills, Marquee Pampanga and Ayala Center Cebu. 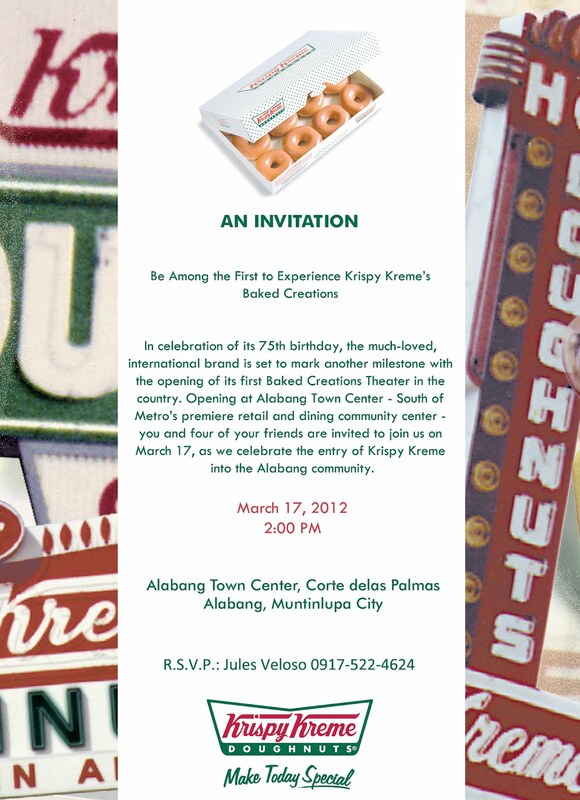 To get more information and updates about the brand and its products, you may visit www.krispykreme.com.ph and become a friend of Krispy Kreme or For more information, please log on to http://krispykreme.com.ph and like their Facebook page.